The Indo Yoga Board is the original studio-based Yoga Board, designed to take yoga to the next level by taking traditional yoga and moving it onto an unstable environment similar to the increasingly popular practice of Stand Up Paddle (SUP) Yoga or Paddle Board Yoga. The Indo Yoga Board allows for all yoga enthusiasts to experience this new form of yoga without the need for a stand up paddle board, a body of water or perfect weather. 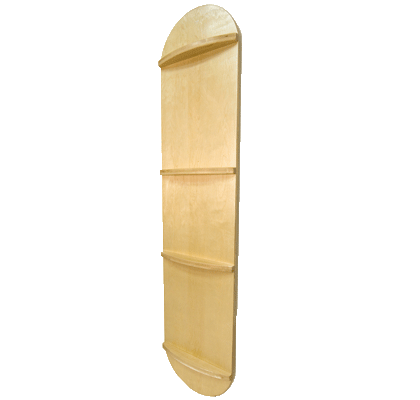 A unique feature of the Indo Yoga Board is the ability to vary the level of instability to accommodate users of all abilities from beginners to the most advanced yoga practitioners.